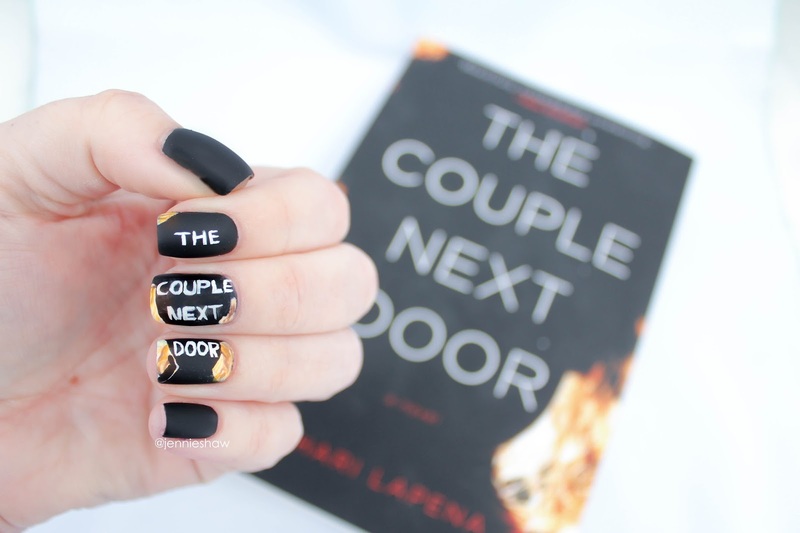 Colder months always make me want to snuggle up with a good thriller. Maybe it’s the black covers that most thrillers boast nowadays, or maybe because suspense is best read in the dead of night, which now starts at approximately 5:30PM (*sobs*), but in any event, I've been reading a lot of thrillers lately. 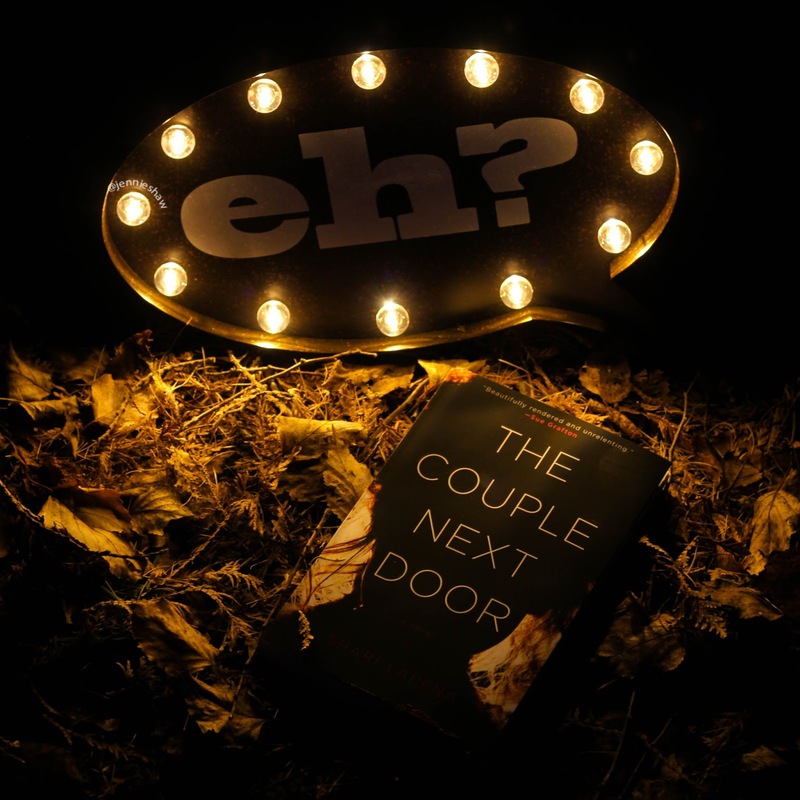 THE COUPLE NEXT DOOR has been in my TBR pile for a while, but recently shot to the top, thanks to my desire to take bookstagram pic with a recently acquired light-up eh? sign (I really am a total book nerd). Haha!! Anne and Marco Conti seem to have it all—a loving relationship, a wonderful home, and their beautiful baby, Cora, but one night when they are at a dinner party next door, a terrible crime is committed. Suspicion immediately focuses on the parents, but the truth is a much more complicated story. What follows is the nerve-racking unraveling of a family, a chilling tale of deception, duplicity, and unfaithfulness that will keep you breathless until the final shocking twist. Every once in a while, I decide to paint a book's title and each time, I regret it. it again, so it'll have to do. Whomp, whomp, and also grrrr. 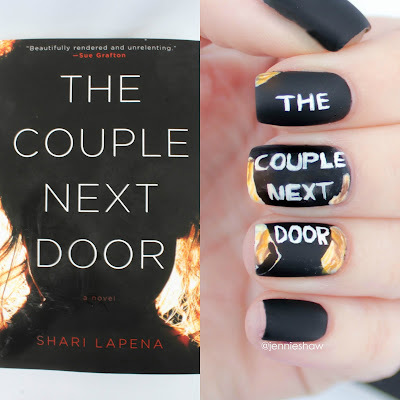 The reason I was so fascinated by the characters in THE COUPLE NEXT DOOR was Lapena's enviable ability to crack open her creations' brains and present the messy results in an accessible way. I was left with no doubt, regarding motivations, and that meant I wasn't put off by questionable actions because I understood why they occurred. And trust me, there were countless decisions that could've left a bad taste in my mouth, to the point where I'd put down the book, but instead of being repulsed, I was drawn further into the story. It takes impeccable execution to write unlikable characters that still elicit sympathy from me, and that's where Lapena's talent leapt off the page. None of these guys or gals were awesome, and yet, I was fascinated by them. Once I hit the last third, I finished in one sitting because there were so many loose ends with extremely high stakes, that I just had to know how it ended. Gah, I love when a book holds me hostage! So if you're into psychological suspense with elements of thriller and crime, then you're going to want to pick up THE COUPLE NEXT DOOR. Twists, what-the-eff?! moments, and heart-squeezing tension abound! And sure, it may make you question the seemingly mundane lives of your neighbours, perhaps leading to an obsession in finding out what they're hiding, but isn't that why we read? To have our world changed, if only for a minute? To wonder what's lurking inside the dark closet of an outwardly "perfect" person's mind? 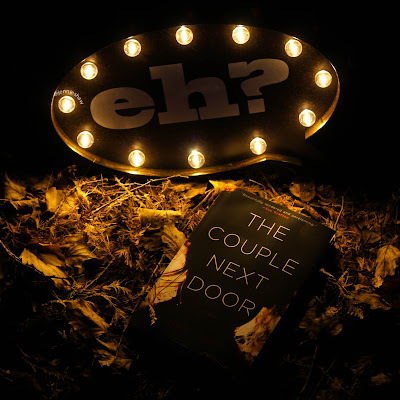 In my opinion, that's a resounding yes, so if you're like me (meaning a harmless but inquisitive snooper) then THE COUPLE NEXT DOOR is definitely a book for you.